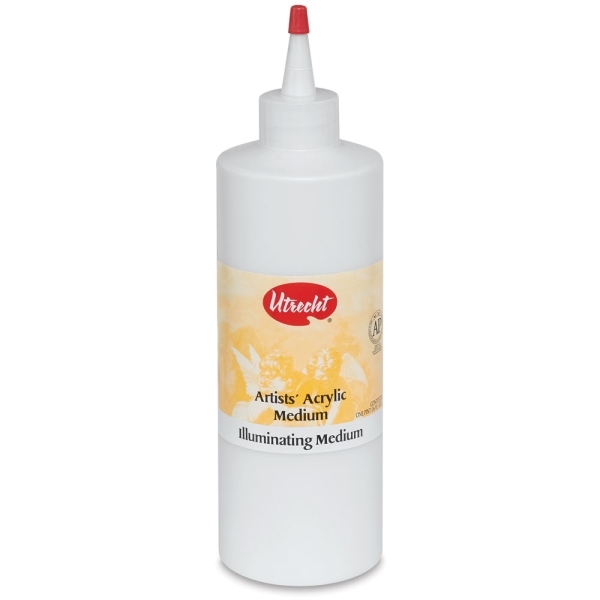 Utrecht Illuminating Medium is a light-bodied acrylic medium that increases the chromatic intensity of acrylic colors of all opacities. Use it to enhance focal points or to produce a greater effect of light overall. This unique medium can be added in incremental ratios to achieve the level of heightened illumination you are seeking. Generally, refractive magnification can be increased by up to 40% (in most cases, depending on pigment type or mixture) without compromising color saturation.